Yay it's Friday! 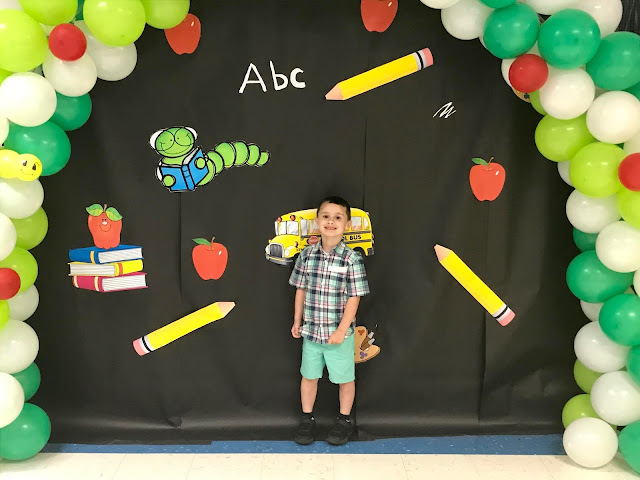 Welcome to the weekly High Five For Friday Link-up hosted by Tif @ Bright On A Budget, Caitlin @Coffee With Caitlin, Katie @ Cup of Tea and myself. Make yourself right at home and enjoy your stay. 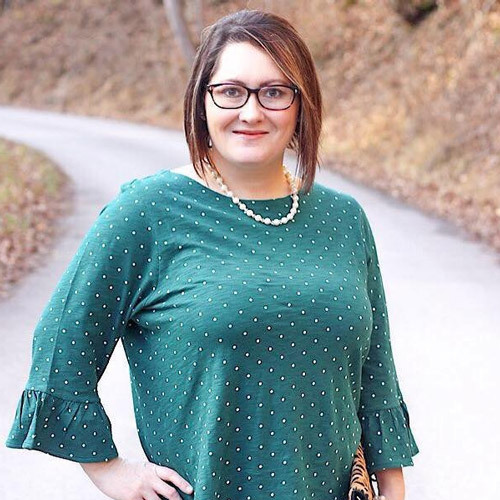 This week's featured blogger is Jess @ To Sparkle Punch . Jess writes a lot of inspirational posts which I really enjoy reading and find helpful. She also posts a lot of items that are budget friendly which are definitely helpful in this day and time. Make sure to check out her blog. 1) Last Friday, Raylan had his 3rd haircut. He did so well for his first cut but the last two, not so much. This was what I had to deal with the whole time. 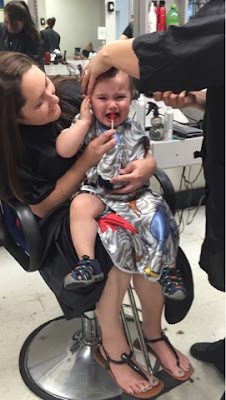 Poor little guy :/ He hates haircuts! 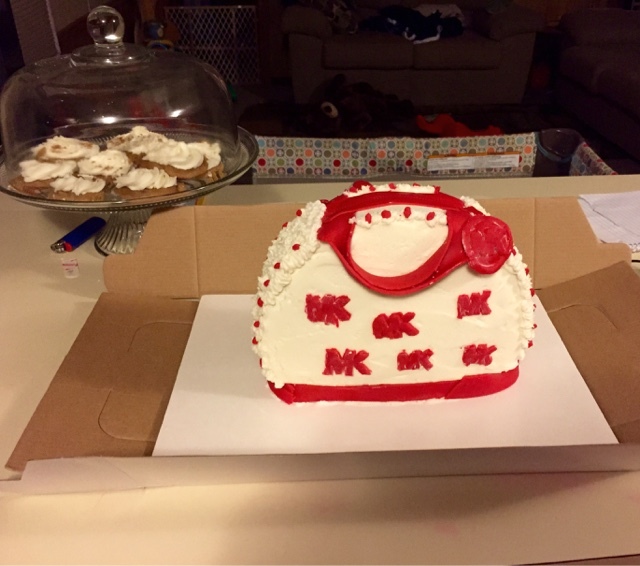 2) One of my best friend's has a major love for purses, so for her birthday I attempted my first purse cake. It's not the best but at least she loved it. I really enjoyed making it. 3) I saw this image on Facebook and I absolutely love it! It says so much. No matter our circumstances, we don't need to give up. We need to keep pressing on! 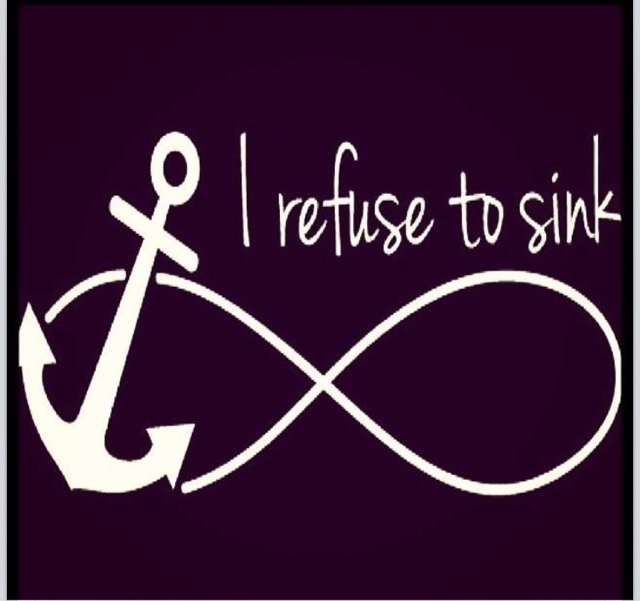 Life can try to take us under sometimes, but we don't need to let it sink us. 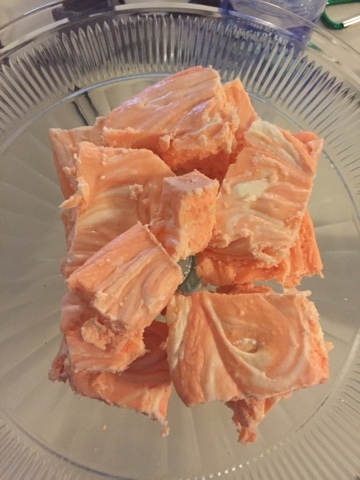 4) I made my favorite go to Orange Creme Fudge. It's so delicious. You must try it! It's the best fudge you will ever eat. 5) I've started the whole potty training process with Raylan and I'm happy to report that he went 4 times in one day to it. I think he is doing great for 16 months old. By the way, please keep him in your prayers. He has Bronchitis and he feels so bad.